95-meter RED STAR won the gold medal in the concept group of the 2nd "Captain's Cup" Industrial Design Competition in Shandong Province. 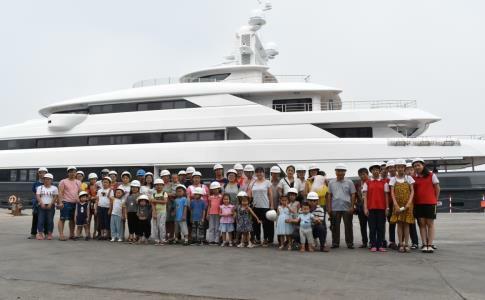 M/Y ILLUSION PLUS built by PRIDE MEGA YACHTS will be on sea trial in Yantai, China. 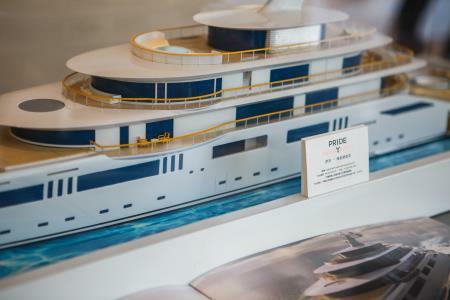 PRIDE MEGA YACHTS will present to the public with more information on the construction of the 88.5-metre M/Y ILLUSION PLUS and now appointed Y.CO as its Central Agent. 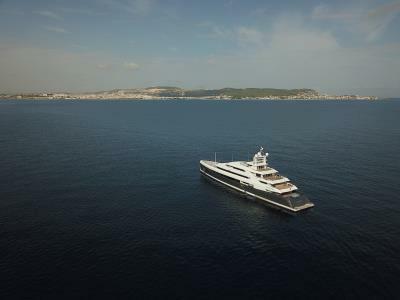 M/Y ILLUSION PLUS which has a sleek profile and a smooth attractive shape. Her interior designer combined a sense of light, air and space with the innovative use of materials, textures and a strong emphasis on serenity and symmetry of Art Deco which gives ILLUSION PLUS a luxurious, relaxed and homely feel. 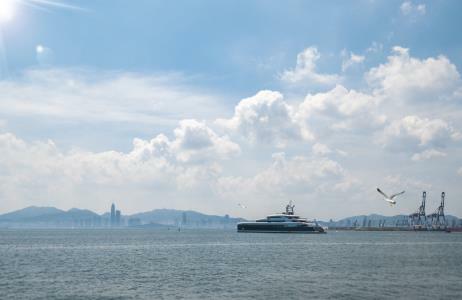 At the same time, PRIDE MEGA YACHTS in collaboration with the Academy of Arts & Design, Tsinghua University designed the SEA COMPLEX, will be launched as a new concept design. 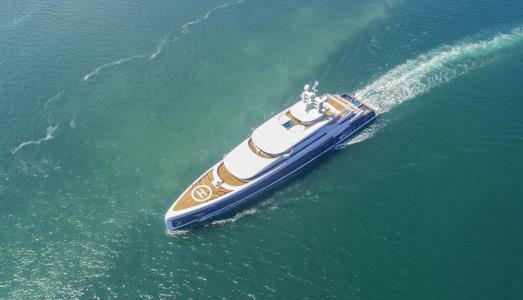 Pride Mega Yachts (part of CIMC Group) appoints Y.CO as their Central Agents for the sale of ILLUSION PLUS, the 88.5m super luxury megayacht. 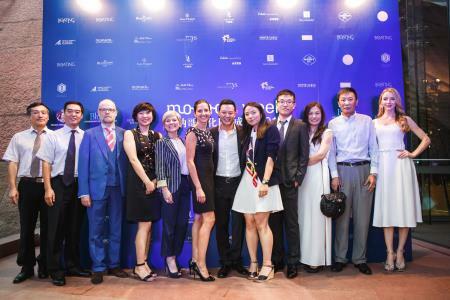 During this golden autumn Season with sweet blossom, on August 31st- September 1st,2017, CIMC RAFFLES 10 Year Anniversary and 2017 CIMC RAFFLES YACHTS International Super Yacht Forum was Held in Yantai ceremoniously. 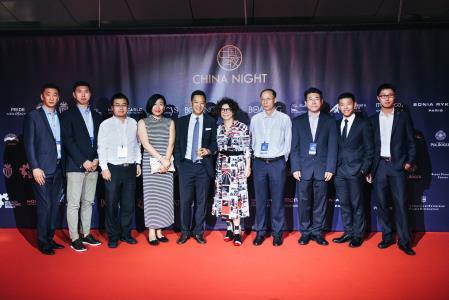 The forum was hosted by CIMC Raffles(CIMC Raffles Yacht co., LTD.), and lasted for one and a half days, and reunited domestic and foreign yacht manufacturers, investors, suppliers, designers, and local yacht industry association leaders, to discuss the latest developments in the industry, trends, specification, and set up the platform for cooperation and communication, to boost China's yacht career development. 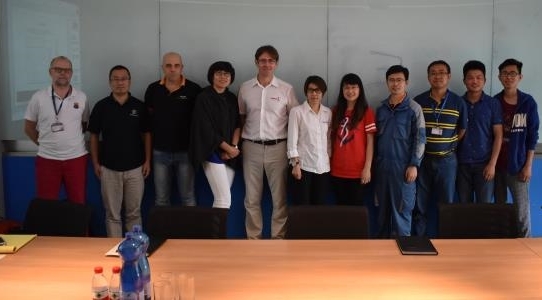 As a world-class yacht integrated service provider, CIMC Raffles Yachts, is fully committed to the yacht development, design, construction, marketing, management and service. It has been 17 years since the first 88,5m PROA catamaran yacht was built in 1999 in our shipyard. 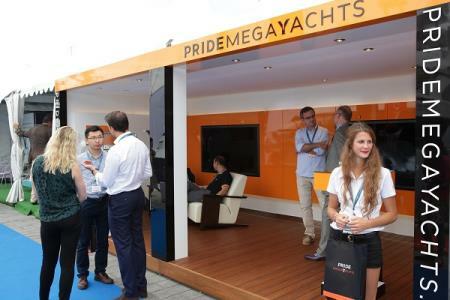 After having successfully delivered four yacht projects, we established a top luxury yacht brand for international clients - PRIDE MEGA YACHTS; along with another yacht brand this year for domestic customers - FINERED. 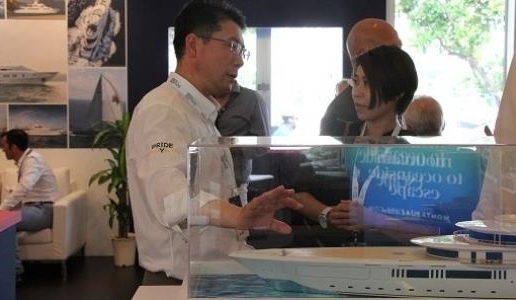 At the same time, we are entering into the business field of oceanic tourism equipment manufacturing by relying on the experienced resources of CIMC group and the national offshore capabilities; to cooperate with the famous domestic tourism companies to create various high-end conceptual and theme-based tourist boats, to undertake the design works of “the city at sea”, “maritime complex”, etc. 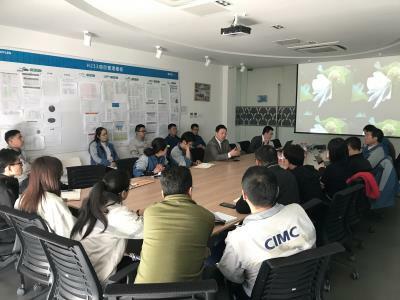 We will continue to develop our existing advantage in the future, constantly improving our ability of independent research and development, to promote the comprehensive upgrade of healthy cultural island tourism. 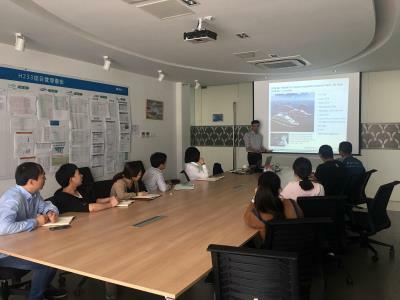 On the afternoon of August 31st, we welcomed our participants in our Yantai Base of Yantai CIMC Raffles Offshore LTD., and visited the blue whale, CR600 accommodation project, as well as Asia's largest super luxury yacht Illusion Plus, on top of which, we also gave a brief introduction on the business development of our new business concepts of FORYOU—yachts, sight-seeing boats, mini cruise ships, marine tourism complex. On the morning of September 1st, our forum officially opened at the multi-function hall of A101 in CIMC Offshore Engineering Institute. Vice President of CIMC Raffles and Chairman of CIMC Raffles Yachts, Mr. Jiang Jun gave a warm welcome speech, on the occasion of the 10 year anniversary of CIMC Raffles Yachts, our distinguished guests from all walks of life to witness the growth and progress of CIMC Raffles Yachts; we are determined to cooperate together in the future under the guidance of shared ideas, to create the ideal "super" luxury yachts for customers, and achieve blue ocean dream of tourism. 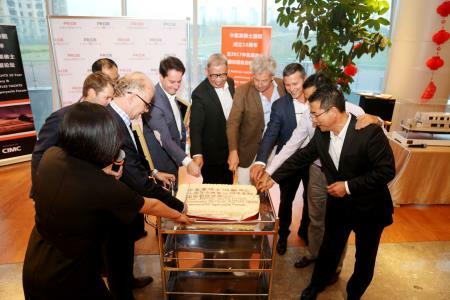 At the same time, during the 1st superyyacht forum, CIMC Raffles Yachts officially launched another two brands—one is specifically customized for domestic customers - FINERED. And another is FORYOU, which includes yachts, sight-seeing boats, cruise ships, and other marine tourism complex. Adhering to the spirit of Craftsmanship: Passion, Dedication, Inheritance, Innovation, and Perfection, Raffles Yacht staffs take their inner passion as motivation, watering the dreams with persistence. 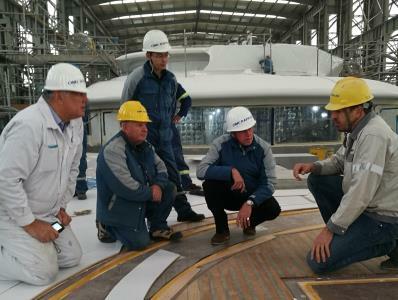 During the yacht construction, every detail strives for perfection and has been strictly controlled; we focus on the knowledge and skills improvements, the accumulation of lesson learned, and continuous improvement, development of new technologies and usage of new materials. 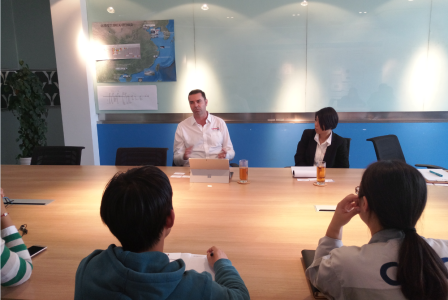 We desire to train the skilled, aspirant, responsible and capable yacht craftsmen for generations. During the keynote speech and Q&A, leaders/guests’ representatives share insights and talk about topics of latest industry development in the design, regulations and classification fields. Experts gather together, each expressing his own opinions. Gather intelligence,join forces. The super yacht forum coincides with the 10 years anniversary founding of CIMC Raffles Yacht, we would like to take this opportunity to invite all of you to witness our achievements. 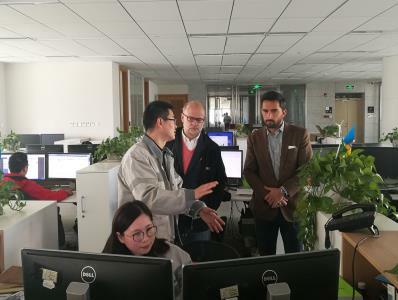 At the same time, setting up resource sharing and a communication platform to share the industry frontier information and knowledge, and to provide a channel to our partners who have been supporting us all the way to show their strengths and capabilities. Our aim is to form a synergy to enhance our understanding and expanding thought. 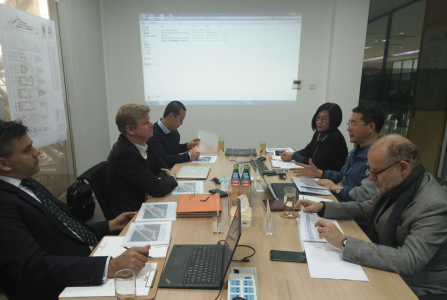 We hope to have a smooth and pleasant cooperation, to enhance the development of international and domestic yacht market. We are dedicated to create the ideal super luxury yacht for our clients. Our vision is becoming the client’s first choice, the industry leader and the innovator of the future. 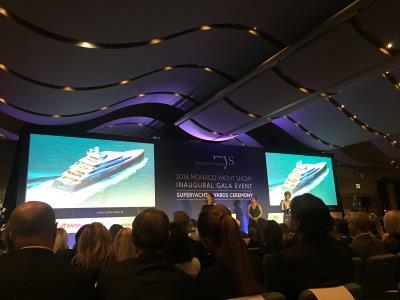 "Super yacht," not only refers to the scale or size, but also refers to the professional construction ability, independent research and design capability, excellent project management skills, reliable suppliers and material selection, clever integration and utilization of resources, accurate control ability of operations and relative markets; The forum shows that CIMC Raffles Yachts is such a professional team of designer and builder of the whole life cycle. 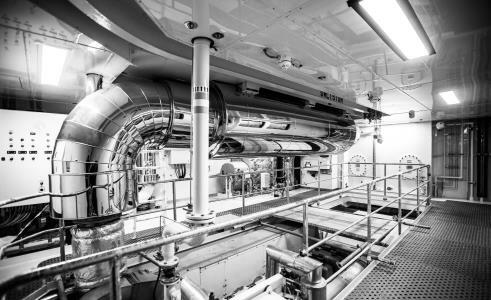 We are willing to not only maintain previous achievements, but also to be an industry leader , the explorers of a new era, as a high-quality yacht project builder. 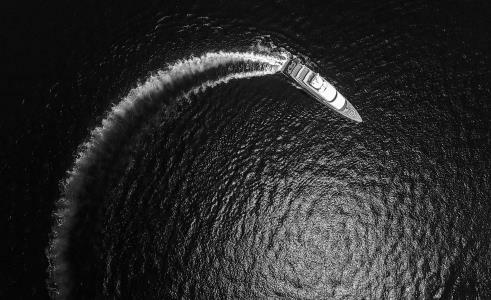 We believe that with the efforts of all yacht staff, we will achieve our dreams, and become China's first-class yacht builder, a world-class brand showcase and a yacht industry pioneer of reform and innovation. 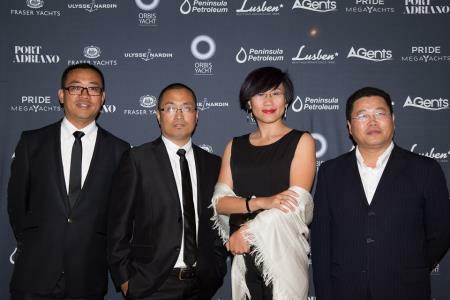 Building on their growing global presence and reputation as the world’s leading Chinese superyacht builder, Pride Mega Yachts is delighted to confirm again their presence at the upcoming Monaco Yacht Show (MYS). 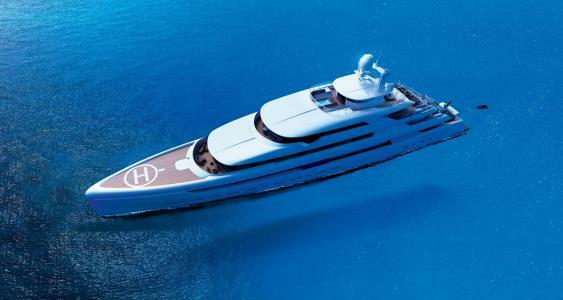 The company will be exhibiting on QH27, on the Quai d’Hirondelle in close proximity to the Monaco Yacht Club. 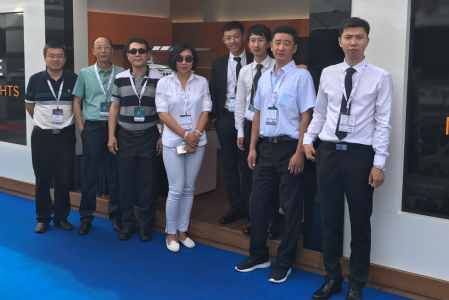 A strong yard team will attend MYS and will be able to answer any queries from clients, brokers, crew members or visitors may have about their company . 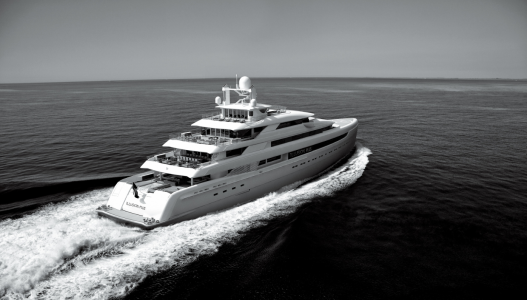 Since re-launching their brand at the 2013 MYS the company has gone from strength to strength. 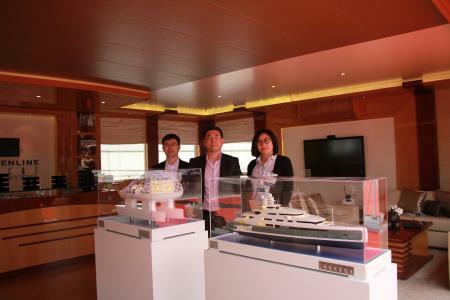 Based on the Chinese Yantai Peninsula, the yard has invested heavily in its facilities, such as a state of the art 4,500sqm facility that includes building sheds, offices, workshops and stores completed in 2014, the shipyard has further invested in 2015 into a fully climate controlled warehouse covering a surface of 2500sqm on two floors including a mezzanine to store relative yacht equipment and owner’s supplies. 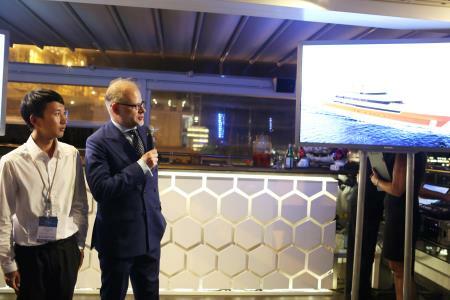 This year the shipyard will present as world premiere a new 90m+ in-house design concept and a 50m concept design from Dubai based Cyrille Bieri Designs and welcomes all new build enquiries. With its unlimited capacity and European-quality standard, the yard offers an attractive building proposition for any discerning superyacht owner. 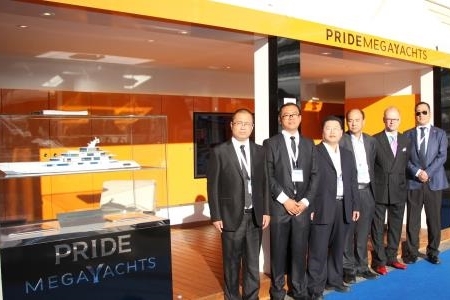 Pride Mega Yachts is the specialist megayacht brand of CIMC Raffles Yachts, based in China’s Yantai Peninsula in the Bohai Gulf. With more than 17 years of experience in the world of shipbuilding and mega yachts Pride Mega yachts can count numerous high-quality international projects to their name. 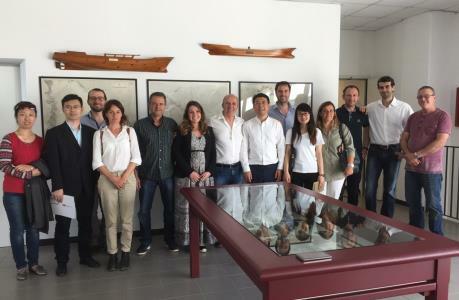 Pride Mega Yachts designs and builds its yachts with an experienced, international team of world-class consultants and designers to European standards. The use of tested, state-of-the art technologies allows for an unwavering focus on innovation and sustainability. 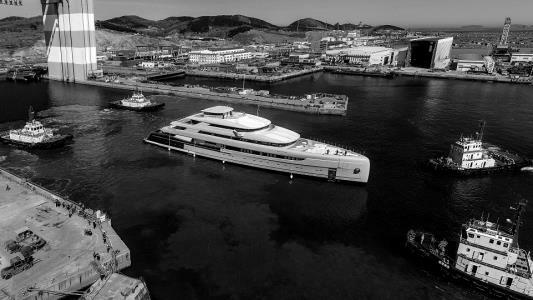 Building on their growing global presence and reputation as the world’s leading Chinese superyacht builder, Pride Mega Yachts is delighted to confirm their presence at the upcoming Monaco Yacht Show (MYS). 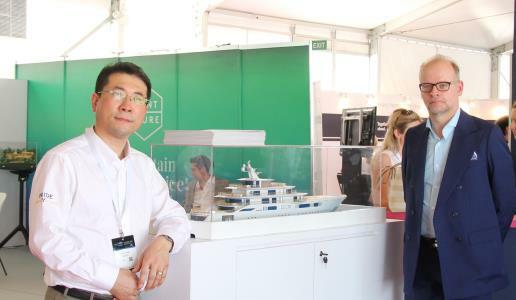 The company will be exhibiting on a new stand, QH25, on the Quai d’Hirondelle in close proximity to the Monaco Yacht Club. A strong yard team will attend MYS and will be able to answer any queries from clients, brokers, crew members or visitors may have about their company . Since re-launching their brand at the 2013 MYS the company has gone from strength to strength. 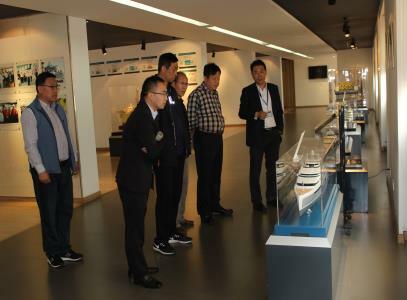 Based on the Chinese Yantai Peninsula, the yard has invested heavily in its facilities, such as a state of the art 4,500sqm facility that includes building sheds, offices, workshops and stores completed in 2014, the shipyard has further invested in 2015 into a fully climate controlled warehouse covering a surface of 2500sqm on two floors including a mezzanine to store relative yacht equipment and owner’s supplies. 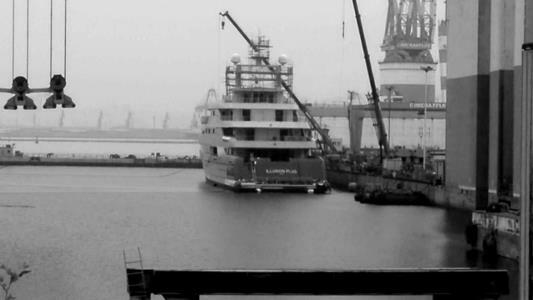 Work on their current new build project 88,5m illusion plus is well progressing.Pride Mega Yachts also further optimised their website www.pridemegayachts.com with two more language options: Russian and Arabic. 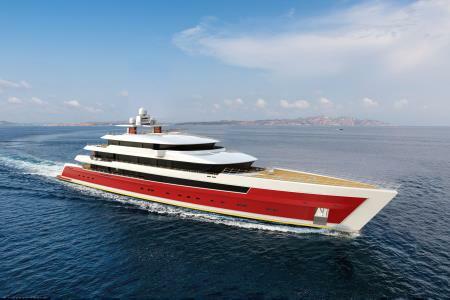 Since the presentation of the 108.8M Tomorrow concept at the 2014 MYS, further efforts have been devoted to develop this concept. 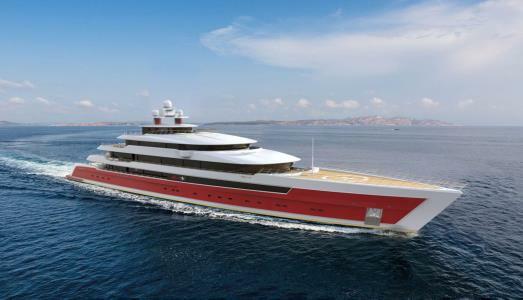 The shipyard will disclose more details on this project and welcomes all new build enquiries for yachts in the range of 80-120M. With its unlimited capacity and European-quality standard, the yard offers an attractive building proposition for any discerning superyacht owner. 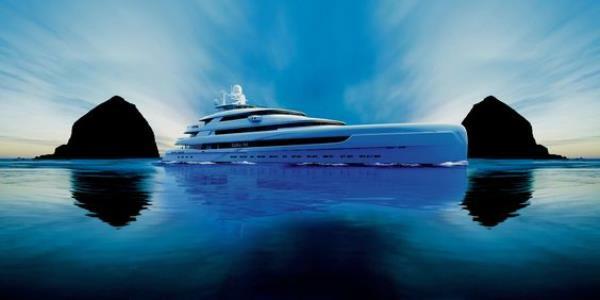 Pride Mega Yachts revealed their striking new 108.8m project Tomorrow at the recent Monaco Yacht Show. The project is currently being finalised, with engineering work commencing soon. Able to host up to 26 guests, with 30 crew, Tomorrow is a spacious six deck vessel. Naval architecture is by Azure Naval Architects and the exterior and interior design by Sinot Exclusive Yacht Design. 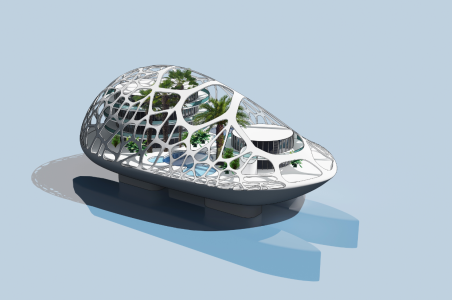 A design for the future, Tomorrow represents the positivity and hope that the future holds, and encompasses a drive for forward-thinking innovation. 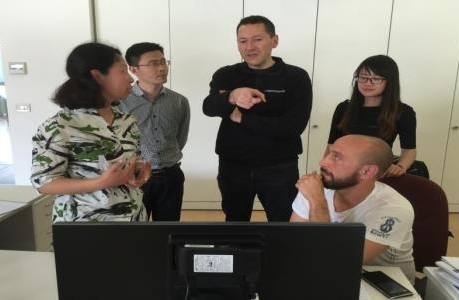 The design team for Tomorrow drew inspiration from Xian Dai, the new era of modernity, an age in which new visions and exciting technology generate prosperity and a higher quality of life. Understanding that yachting will increasingly be the choice of those looking for quality family time and an escape from the confines of everyday life, Tomorrow is a sanctuary for those looking to enjoy cruising the world’s beautiful waters. Providing independence and comfort, Tomorrow is a versatile design, suited as a family yacht, an exploration base and for socialising and high end entertainment. The interior styling is centred around a luxurious laid back beach style, personalised by the owner’s choice of artwork. Warm and open spaces are embellished with custom furniture, rich materials, intricate patterns and complementary natural textures. 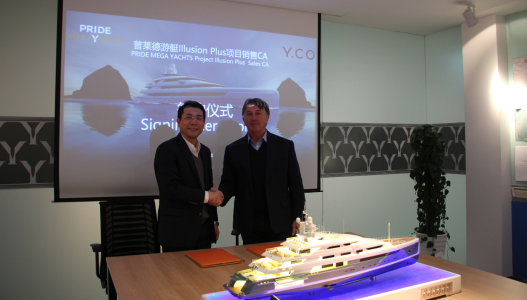 Building on their growing global presence and reputation as the world’s leading Chinese superyacht builder, Pride Mega Yachts is delighted to confirm their presence at the upcoming Monaco Yacht Show (MYS). The company will be exhibiting on a new stand, QH27, on the Quai d’Hirondelle in close proximity to the newly opened Monaco Yacht Club. Since re-launching their brand at the 2013 MYS the company has gone from strength to strength. 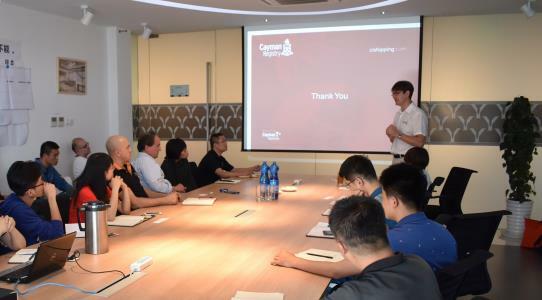 Based on the Chinese Yantai Peninsula, the yard has invested heavily in its facilities, with a new state of the art 4,500sqm facility that includes new sheds, offices, workshops and stores. 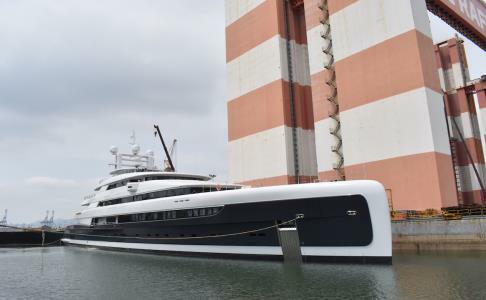 Work on their current new build project 88,5m illusion plus is well progressed, with her launch due at the end of 2015. The sale of the yacht by Fraser Yachts in close cooperation with Bluewater was announced in August 2014 and was a great testament to the quality of the project. 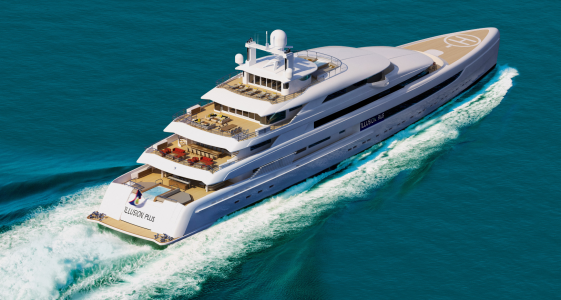 The yard will be displaying their 115 metre Estatement concept at the show. The work of Sinot Exclusive Yacht Design, Estatement is able to accomodate up to 22 guests, and features a contemporary interior that will appeal to a wide client base. An evolution of her smaller sister illusion plus, Estatement is a showcase of what Pride Mega Yachts can achieve in the large yacht sector. 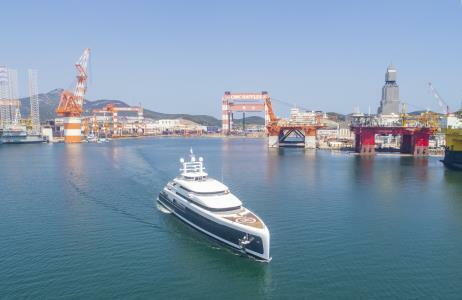 The shipyard welcomes all new build enquiries for large yachts: with unlimited capacity and high-standard European-quality work the yard offers an attractive proposition for any discerning superyacht owner. In addition to Estatement the yard has an exciting new project in development. More information will be revealed, and a press kit made available on this project, at forthcoming MYS. 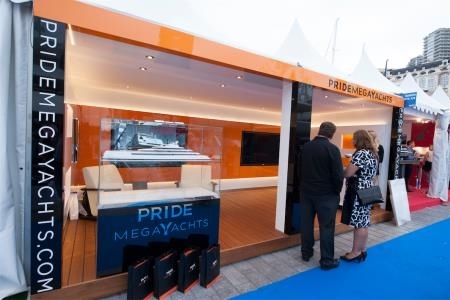 Other yard events at the show will be Pride Mega Yachts sponsorship of the hugely popular Fraser Yachts Captains Party, as well as an invitation-only evening event on 24 September at the Miramar Hotel Roof Terrace. A strong yard team will attend MYS and will be able to answer any queries from clients, brokers, crew members or visitors may have about our company . 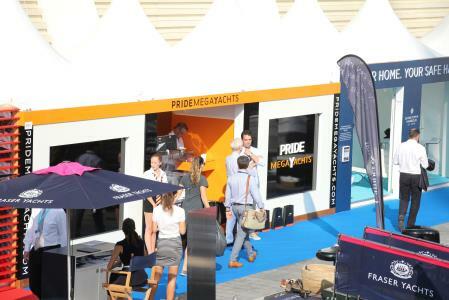 Pride Mega Yachts is proud to be returning again to the Monaco Yacht Show, which is a crucial date in its calendar. 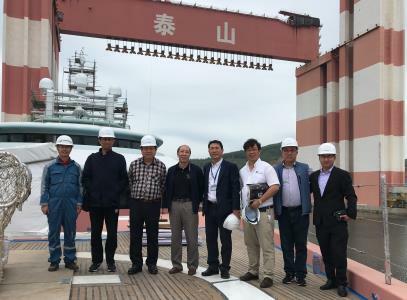 Over the last year since its successful rebranding, the shipyard has forged a strong name for itself and is looking forward to continue to promote the flag for quality Chinese superyacht construction around the world.